Reporter Paul Hutchins is all about finding facts and uncovering the truth. Verification, authenticity and quantification are the fuel of his spirit…Until he falls in love with producer Sandy Pierson. Sandy sees Christ alive in every aspect of her life. No need for quantified facts. Faith is the fuel of her spirit . But her love for Paul puts her at odds with God's call toward faith and all of its mysteries. Paul considers Christianity to be well-meaning myth—hyperbole. To Sandy, it’s everything—and she can accept nothing less from the man she loves. Can a miracle happen? Can the touch of God Himself keep their relationship from shattering? Q1.At the start of A Face in the Clouds, we immeidately sense the love--and strain--between Sandy Pierson and Paul Hutchins. He's pragmatic and a scientific-styled realist. Sandy is a devout Christian who is eager to show Paul the beauty and reality of recognizing God's presence in the world. Discuss an instance when you were called upon to defend your faith, or help someone into a deeper recognition of God's grace. Q2. When Sandy confronts Paul on the issue of God's reality, she finds strength and faith enough to walk away from their relationshipif they can't find common ground. She trusts in God to provide for her and comfort her should she need to abandon the longing of her heart to be with Paul. Have you, or anyone you know, experienced a similar circumstance of leaving behind something that feels good and right, if you don't feel it's in alignment with God's plan? Q3. The power of God's love is revealed to Paul through the art work of Mary DuVall, leading him to a new spirit--a rebirth. 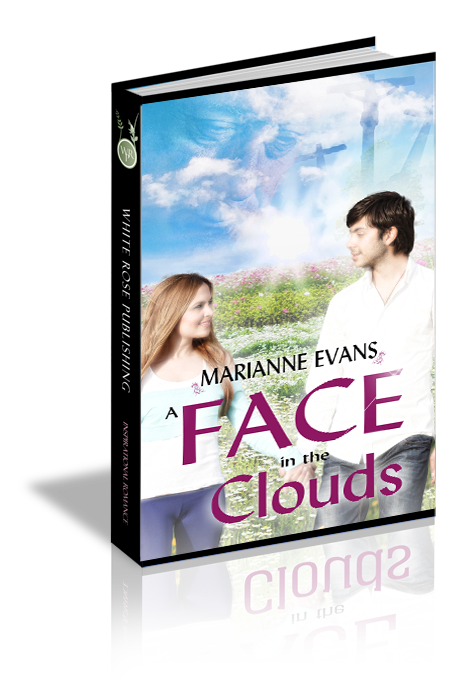 By the end of A Face in the Clouds, Paul and Sandy claim a mutual faith and move forward together. Talk about an instance when God's grace and ressurecting love gave you new life, and hope.